When unexpected severe weather conditions threaten the home, we worry if lightning and heavy rain will knock out our power. This period of uncertainty mostly occurs during the much warmer spring and summer seasons where heavy rain and thunderstorms are more common. 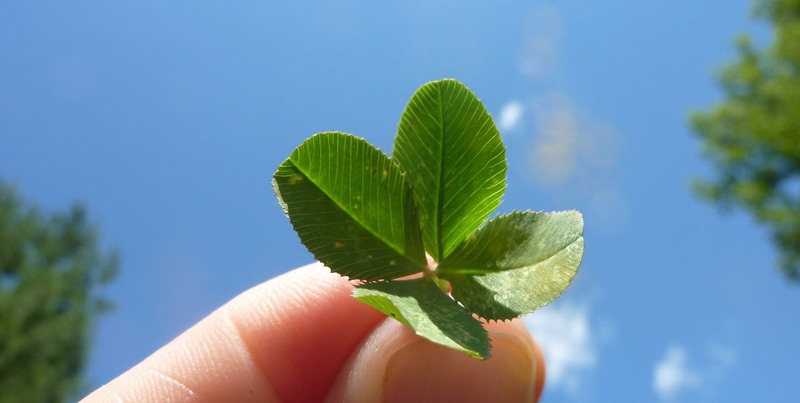 Crossing your fingers, searching for a four-leaf clover, and hoping that the weather doesn’t knock out your home’s electricity is not an ideal way to spend your time when you could simply be prepared and protected against power outages with a backup generator. Less worries: The first questions that pop into homeowners’ minds when power outages occur are “How long will we go without power?” and “What can we do?” Put your worries aside with a backup generator installation in the DC metro region! These generators are designed to continue running your lights, Wi-Fi network, cable, and home appliances, making it easy to work from home and continue to do home activities without any interference. Reliable Power Source: Investing in a backup generator reassures that your home automatically keeps on running as soon as your main power grid fails. When the main power grid begins to shut down, the backup generator automatically starts up, leaving you feeling both safe and reassured. A backup generator installation is a guaranteed, trustworthy investment you will not regret. Safety: Backup generators are still safe to operate in any weather without fear of your family members being injured while making any adjustments to the generator. Generators also prevent power surges and fluctuations when the power comes back on. At Argent Heating & Cooling, we believe home safety should be the number one priority for families, especially during the spring and summer months where heavy thunderstorms are most common. Our certified technicians guide you through every step of generator selection and installation to ensure that your home is completely prepared for extreme weather. With our wide selection of backup generators, we have a generator that suits every homeowner’s needs. We offer both installation and planned maintenance to ensure the generator remains functional and protects your home for a long time to come. Trust our certified Argent technicians to ensure you and your family’s safety with generator installation! Just Your Luck – Argent’s Generator Special! We want to give your family peace of mind during even the worst weather storms. 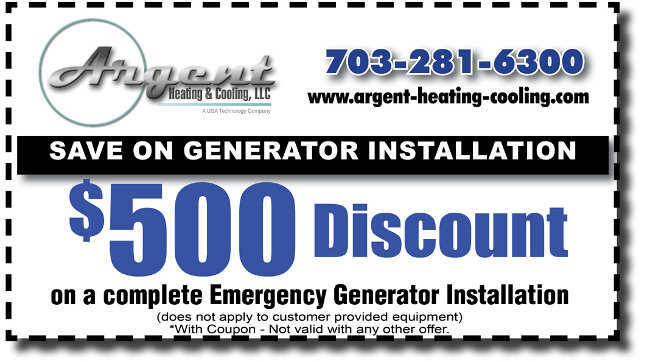 We are proud to offer a limited-time $500 discount on emergency generator installations. Take advantage of this great deal before it’s gone and check out our other specials! Call 703-281-6300 or contact us online for a consultation and estimate today!